Scottish bass player, Philip Neil Murray was born 27 August 1950. Originally a drummer who started playing bass in 1967, Murray formed his first band with school friends in 1967 (Slap Happy and the Dum-Dums). His musical tastes were heavily influenced by the mid-1960s ‘blues boom’ bands and musicians, especially Jeff Beck, Eric Clapton and Jack Bruce, and later by Motown legend James Jamerson and Tim Bogert of Vanilla Fudge, Cactus and Beck, Bogert & Appice. Murray moved to bass shortly before studying graphic design at the London College of Printing. In 1973, Neil briefly played in Gilgamesh, a jazz-fusion band led by Alan Gowen. After Leaving Gilgamesh, Murray toured the USA with Junior Hanson, following a recommendation from Jeff Beck’s bass player Clive Chaman. Hanson later became a member of Bob Marley & The Wailers under the name Junior Marvin. Neil spent early 1974 supporting the album he recorded with them, Magic Dragon.After Cozy Powell decided to fold Hammer, Murray and Airey joined a revamped version of the British jazz rock band Colosseum, named Colosseum II. The band’s leader, drummer Jon Hiseman, had evolved the band’s sound by eliminating the saxophone in preference for a rockier sound courtesy of Gary Moore’s guitar. Colesseum II Realeased the album Strange New Flesh. Sadly Murray and vocalist Mike Starrs were fired and the record label Bronze, who dropped Colosseum II altogether. After Colosseum II, in 1976 Neil teamed up again with ex-Gilgamesh keyboardist Alan Gowen in National Health with whom he recorded a self-titled album in 1977. Prior to recording that album, the band played with drummer Bill Bruford of Yes/King Crimson fame, who was followed by ex-Hatfield & the North drummer Pip Pyle. Murray worked with Bruford again during the rehearsals for Bruford’s Feels Good To Me album, standing in for Jeff Berlin. Murray also deputised for Berlin on Bruford’s “Old Grey Whistle Test” appearance in 1978. During this performance he sports a long sleeve T-shirt saying ‘More Bass’, predating Saturday Night Live’s “More Cowbell” by more than 20 years. National Health’s complex music and the lack of commercial success prompted Murray to leave. Murray performed with Bernie Marsden in Cozy Powell’s Hammer and Babe Ruth’s album Stealing Home, before joining two members of Deep Purple in Paice Ashton Lord. Neil Murray then briefly formed The band Badlands (not to be confused with the American band featuring Jake E. Lee) with Uriah Heep’s John Sloman on vocals and future Thin Lizzy’s John Sykes on guitars. The band’s music was hard rock and fitted the gap between a melodic band like Thin Lizzy, a blues influenced outfit like Whitesnake and a more straight-ahead AC/DC. However Badlands only played London’s Marquee Club before splitting. In 1982, Neil Murray and Ian Paice both joined Gary Moore recording three albums with Moore: Corridors Of Power, Victims of The Future and Rocking Every Night – Live In Japan. Between 1979–1982 Murray performed on a number of solo albums from Bernie Marsden, Graham Bonnet, Cozy Powell, Forcefield and Jon Lord, sometimes playing with drummer Simon Phillips, which led in 1981 to Murray playing with a trio of superstars – Jeff Beck, Sting and Eric Clapton – at two of the Secret Policeman’s Other Ball series of four concerts at the Theatre Royal, Drury Lane, London. In 1983, Micky Moody and Colin Hodgkinson left Whitesnake after recording the new album Slide It In. Coverdale hooked up with A&R guru John Kalodner and signed with Geffen Records and after trying to hire Adrian Vandenberg and Mama’s Boys’ Pat McManus, Coverdale hired John Sykes (Tygers of Pan Tang, Thin Lizzy) instead Murray was invited back and he and Sykes re-recorded a lot of the guitar and all of the bass parts for Slide It In, resulting in two different vinyl versions: one for Europe featuring Moody and Hodgkinson and a US remix version with Sykes and Murray. Unfortunately while Whitesnake were touring in 1984, Mel Galley injured his arm, And left the band. So John Sykes played guitar instead. Then Jon Lord left the band for the Deep Purple reunion thus making Whitesnake a four-piece outfit (Coverdale, Murray, Sykes, Powell) with off-stage keyboard player Richard Bailey (ex-Magnum). Whitesnake toured the USA with Dio and Quiet Riot culminating with an appearance at the 1985 Rock in Rio Festival in front of 150,000 people, Cozy Powell left the band for Emerson, Lake & Powell and Aynsley Dunbar (Journey, Jefferson Starship) joined as drummer for Whitesnake’s album “1987”. Meanwhile Murray continued doing sessions for several other artists (including Phenomena) and recorded with a band project put together by music impresario Jonathan King called Gogmagog, featuring former Iron Maiden singer Paul Di’Anno, future Iron Maiden guitar player Janick Gers (ex-Ian Gillan), ex-Def Leppard’s Pete Willis and another ex-Iron Maiden member Clive Burr on drums. Murray also joined Marsden and Galley in the short-lived band MGM playing the Reading Festival in 1987. Unfortunately work Was very slow on the album “1987” so Murray took the opportunity to redo some of the bass parts, but disagreements led to John Sykes quitting the band. 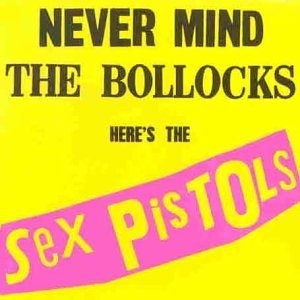 Eventually 1987 went on to sell well over 10 million copies worldwide. Then Coverdale assembled a new version of Whitesnake in Los Angeles, of which Murray was no longer part which led to legal wrangling between Coverdale and Murray. Murray has played on the second most Whitesnake albums, behind only David Coverdale himself. In 1987, Murray joined Japanese hard rock band Vow Wow, after having worked with its guitarist Kyoji Yamamoto and Vocalist Genki Hitomi on the second album by Phenomena. He recorded four albums including Helter Skelter, with the band between 1987 and 1989, and toured the UK, Europe, and Japan. In 1989, Murray was asked to join Black Sabbath by Cozy Powell after Geezer Butler’s refused to join the latest Black Sabbath line-up. He toured with the band in support of the album Headless Cross and stayed with the band until late 1990, recording the Tyr album. After Black Sabbath reformed their “Mob Rules” lineup in 1991 with Dio, Butler and Appice for Dehumanizer, Powell and Murray started a band project and recorded songs with singer John West (Artension, Royal Hunt). In 1992, Murray played with Powell and Black Sabbath’s Tony Martin, in a short lived version of Cozy Powell’s Hammer. Murray also recorded most of Martin’s first solo album Back Where I Belong and later played at a series of concerts at Expo’ 92 in Seville, Spain backing Steve Vai, Joe Satriani and Brian May. He also reunited with his ex-Whitesnake pals, guitarists Bernie Marsden and Micky Moody. In 1998, Brian May released his third solo album, Another World, which Murray and Powell had once again played on, but Powell’s death meant a tour with Eric Singer (KISS, Alice Cooper, Lita Ford, Black Sabbath) instead. 1998 also saw the posthumous release of Cozy Powell’s “Especially For You” featuring vocal phenom John West (Royal Hunt, Artension, Badlands, Lynch Mob, Ten Man Push), and Michael Casswell (Brian May Band), and Lonnie Park (John West, Wrathchild America, Ten Man Push). In 1999, Murray started working again with Bernie Marsden and Micky Moody, for a Norwegian Whitesnake tribute band The Snakes. Marsden and Moody eventually changed the band name to Company of Snakes. They were joined by vocalist Robert Hart (The Jones Gang, Bad Company, The Distance, solo artist/songwriter) and keyboard player Don Airey. Hart then decided to leave to concentrate on his solo/songwriting career. The only recording with Don Airey on keys and John Lingwood on drums) is on Micky Moody’s solo album I Eat Them For Breakfast. In 2001 Swedish singer Stefan Berggren was recruited and COS released two albums: Here We Go Again Live (the gig was recorded in Germany with temporary ex-MSG singer Gary Barden, and Burst The Bubble. Company of Snakes desolved in 2002 with the band being transformed into M3 Classic Whitesnake, dropping recent original material in favour of a purely Whitesnake set. Ex-Sabbath frontman Tony Martin was their singer initially, before being replaced by Berggren. 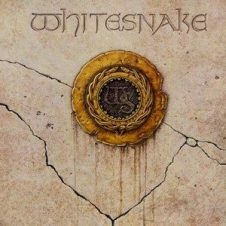 The band has released one live album (with Tony Martin on vocals) and one live DVD (with Berggren and Rainbow/Yngwie Malmsteen/ Cornerstone singer Doogie White) featuring songs from the classic Whitesnake era 1978–1982. Murray is also a member of German heavy rock band Empire, with guitarist Rolf Munkes. Empire also featured Tony Martin on the Trading Souls and The Raven Ride albums. Since April 2002, Murray has been in the band of the London musical We Will Rock You. He also performed at 2007’s ‘Classics in Rock’ concert in Rotterdam and the first London Rock ‘n Roll Fantasy Camp. Murray also played on the 2008 Michael Schenker album In the Midst of Beauty. 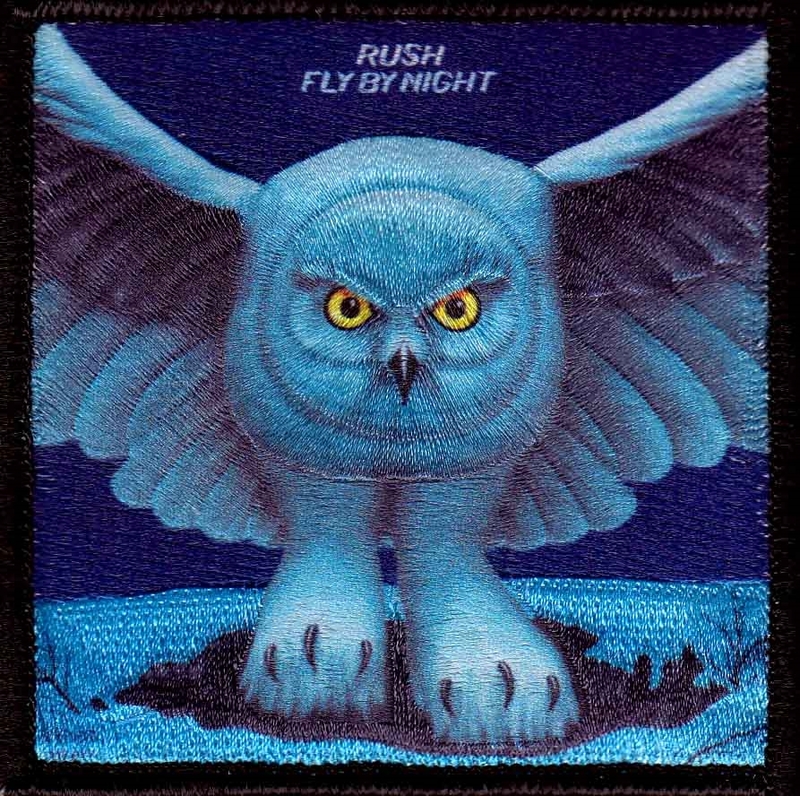 Rush have become known for their musicianship, complex compositions, and eclectic lyrical motifs drawing heavily on science fiction, fantasy, and philosophy. Rush’s music style has changed over the years, beginning with blues-inspired heavy metal on their first album, then encompassing hard rock, progressive rock, and a period with heavy use of synthesizers. They have been cited as an influence by various musical artists, including Metallica Primus, and The Smashing Pumpkins, as well as progressive metal bands such as Dream Theater and Symphony X.Rush have also won a number of Juno Awards, and was inducted into the Canadian Music Hall of Fame in 1994. Over their careers, the members of Rush have been acknowledged as some of the most proficient players on their respective instruments, with each band member winning numerous awards in magazine readers’ polls. As a group, Rush possesses 24 gold records and 14 platinum (3 multi-platinum) records. Rush’s sales statistics place them third behind The Beatles and The Rolling Stones for the most consecutive gold or platinum studio albums by a rock band. 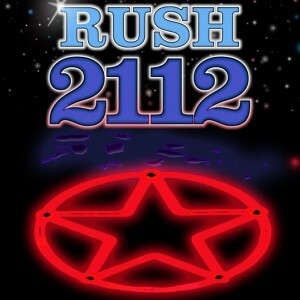 Rush also ranks 79th in U.S. album sales, with 25 million units. Although total worldwide album sales are not calculated by any single entity, as of 2004 several industry sources estimated Rush’s total worldwide album sales at over 40 million units. Their latest studio album, Clockwork Angels was released 2012. 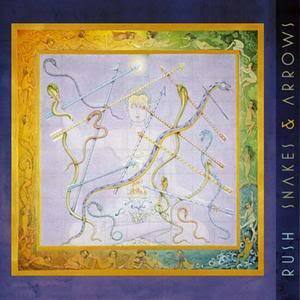 It was first album in five years since, 2007’s “SNAKES & ARROWS.” and is the band’s 20th studio album and they also toured during Autumn 2012. English novelist Cecil Scott “C. S.” Forester (Cecil Louis Troughton Smith) was born 27 August 1899 in Cairo. He moved with his mother to London and was educated at Alleyn’s School, Dulwich College, south London, and Guy’s Hospital, London, but did not complete his studies. “Forester had always worn glasses and been thin. Later, trying to enlist in the army he failed his physical and was told there was not a chance that we would be accepted even though he was of good height and somewhat athletic. In about 1921, after studying medicine for several years, he began writing seriously using his pen name.” During World War II, Forester moved to the United States where he worked for the British Information Service and wrote propaganda to encourage the US to join the Allies. He eventually settled in Berkeley, California. While living in Washington, D.C., he met a young British intelligence officer named Roald Dahl, whose experiences in the RAF he had heard of, and encouraged him to write about them. In 1947, he secretly married a woman named Dorothy Foster. Forester was a prolific author and wrote many novels, among them the 12-book Horatio Hornblower series, depicting a Royal Navy officer during the Napoleonic era, His novels A Ship of the Line and Flying Colours were jointly awarded the 1938 James Tait Black Memorial Prize for fiction. He also wrote the African Queen (1935) and The General (1936); Peninsular War novels in Death to the French (published in the United States as Rifleman Dodd) and The Gun (filmed as The Pride and the Passion in 1957); and many seafaring stories that did not involve Hornblower, such as Brown on Resolution (1929); The Captain from Connecticut (1941); The Ship (1943) and Hunting the Bismarck (1959), which was used as the basis of the screenplay for the 1960 film Sink the Bismarck! Forester also wrote children’s books. One, Poo-Poo and the Dragons (1942), as a series of stories told to his younger son George to encourage him to finish his meals. George had mild food allergies that kept him feeling unwell, and he needed encouragement to eat. The second, The Barbary Pirates (1953), is a children’s history of those early 19th-century pirates. He can be seen as a contestant on 1 November 1956 edition of You Bet Your Life, commenting that his latest book is The Age of Fighting Sail. Forester sadly died 2 April 1966 however his novels still remain popular and Several of his works have also been adapted for film and television Including the 1951 film The African Queen, directed by John Huston. Forester is also credited as story writer for several movies not based on his published fiction, including Commandos Strike at Dawn (1942). Also In 2003 a “lost” novel of Forester’s, The Pursued, was discovered and bought at an auction. This was subsequently published by Penguin Classics on 3 November 2011. C.S. Forester is also credited with inspiring British author Roald Dahl’s writing career, after The two met in early 1942. According to Dahl’s autobiographical Lucky Break, Forester asked Dahl about his experiences as a fighter pilot and this prompted Dahl to write his first story, “A Piece of Cake. English engineer, Motoring and aviation pioneer, businessman and co-founder of car and aero manufacturer Rolls-Royce Limited, Charles Stewart Rolls was born in Berkeley Square, London, 27 August 1877. After attending Mortimer Vicarage Preparatory School in Berkshire, he was educated at Eton College where his developing interest in engines earned him the nickname dirty Rolls. In 1894 he attended a private crammer in Cambridge which helped him gain entry to Trinity College, Cambridge, where he studied mechanical and applied science. In 1896, at the age of 18, he travelled to Paris to buy his first car, a Peugeot Phaeton, and joined the Automobile Club of France. His Peugeot is believed to have been the first car based in Cambridge, and one of the first three cars owned in Wales. An early motoring enthusiast, he joined the Self-Propelled Traffic Association which campaigned against the restrictions imposed on motor vehicles by the Locomotive Act, and became a founder member of the Automobile Club of Great Britain. Rolls was a keen cyclist and spent time at Cambridge bicycle racing. In 1896, he won a Half Blue and the following year became captain of the Cambridge University Bicycle Club. During the early 1920’s Rolls Royce were Faced with falling sales of the 40/50 (later known as Silver Ghost) so the company introduced the smaller, cheaper Twenty in 1922, effectively ending the one-model policy followed since 1908. After the introduction of the Phantom model in 1925 this 40/50 model was referred to as the Silver Ghost. The new 40/50 was responsible for the company’s early reputation with over 6,000 built. In 1921, the company opened a second factory in Springfield, Massachusetts in the United States (to help meet demand), where a further 1,701 “Springfield Ghosts” were built. This factory operated for 10 years, closing in 1931. Its chassis was used as a basis for the first British armoured car used in both world wars.In 1931 Rolls-Royce acquired the much smaller rival car maker Bentley after the latter’s finances failed to weather the onset of the Great Depression. From soon after World War II until 2002 standard Bentley and Rolls-Royce cars were often identical apart from the radiator grille and minor details.In 1933, the colour of the Rolls-Royce radiator monogram was changed from red to black because the red sometimes clashed with the coachwork colour selected by clients, and not as a mark of respect for the passing of Royce as is commonly stated. Sadly by 1971 Financial problems caused largely by development of the new RB211 turbofan engine led – after several cash subsidies – to the company being nationalised by the government. (Delay in production of the RB211 engine has also been blamed for the failure of the technically advanced Lockheed TriStar, which was beaten to launch by its chief competitor, the Douglas DC-10. In 1973 the motor car business was spun off as a separate entity, Rolls-Royce Motors. The main business of aircraft and marine engines remained in public ownership until 1987, when it was privatised as Rolls-Royce plc, one of many privatisations of the Thatcher government. Since then Rolls Royce has been bought by BMW and Bentley by Volkswagen.